Present state: The recently cleared platform and goods dock are still extant. A public footpath runs through the station site. Notes: During 2010 the track bed through the station was cleared of vegetation as it is now a public footpath. 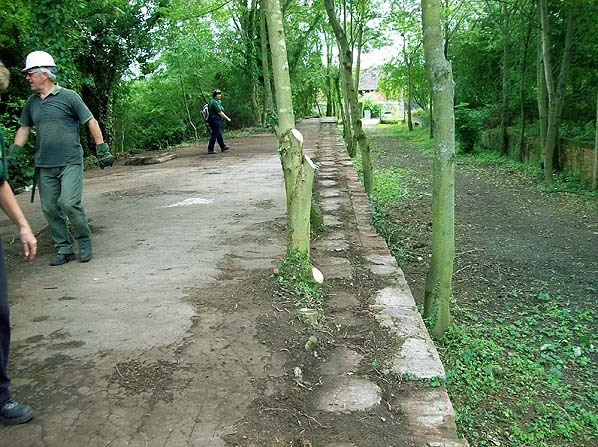 During the summer the two platforms were also cleared by volunteers from the Colne Valley Railway. 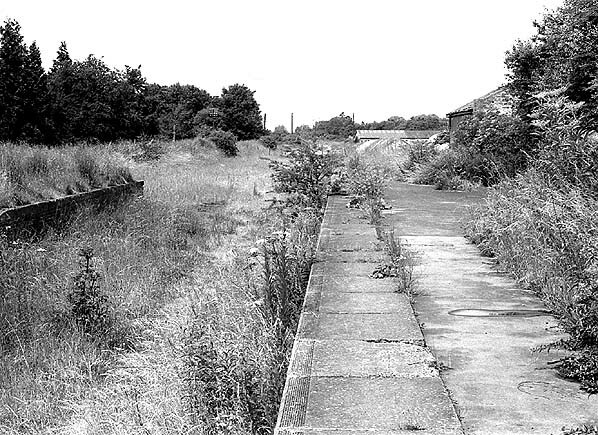 Yeldham station looking south in Summer 1968. 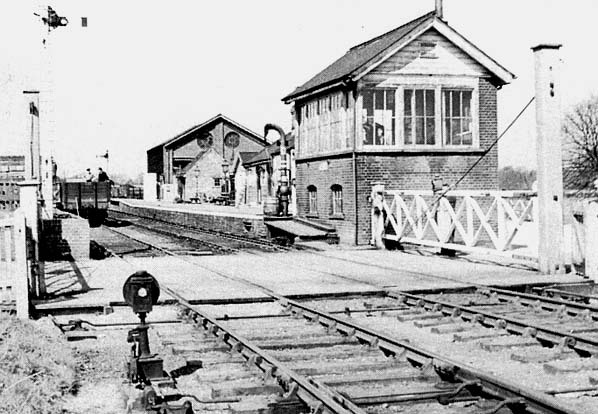 The signal box has been demolished and the level crossing is just out of view to the right. 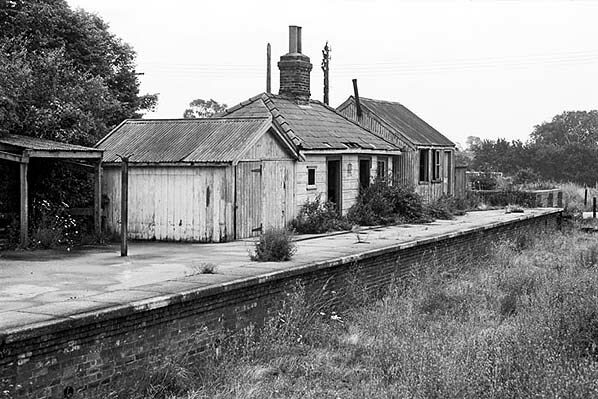 Yeldham Station in December 1975 - the platform on the left is the goods dock. All the buildings seen in the 1968 picture above have now been demolished. 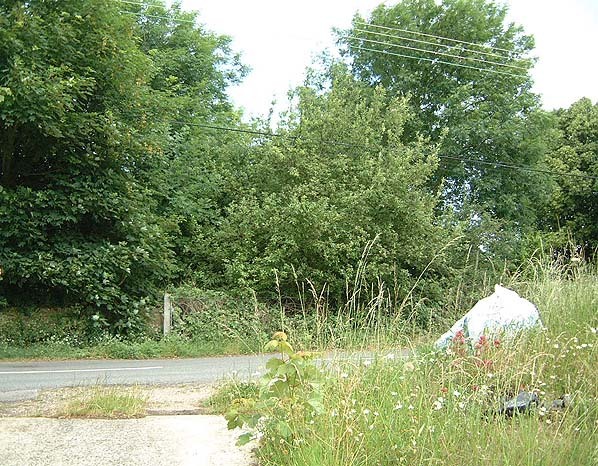 Yeldham Station in June 2003 - taken from the same viewpoint as the picture above. 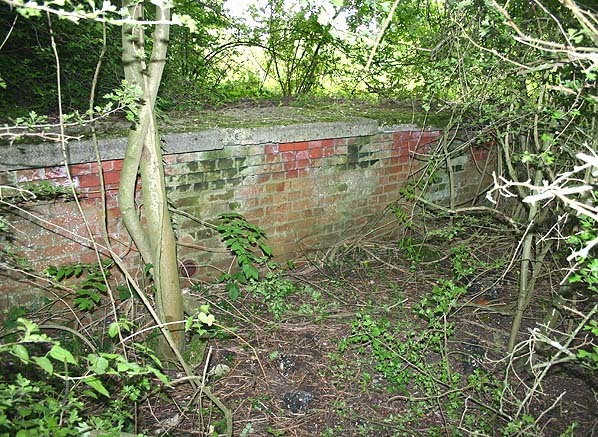 The brickwork of the goods dock is just visible in the undergrowth behind the post. Yeldham station looking south in Summer 2010 during clearance of the platform.